You are here: Home / Home & Family / It was a Success. 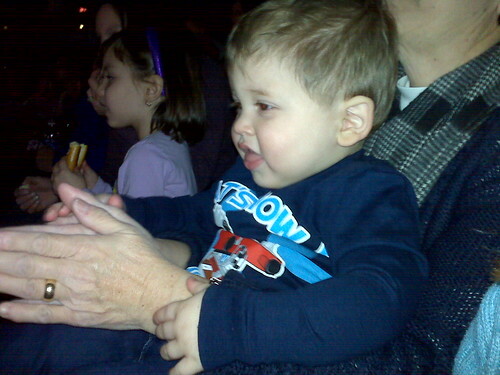 I thought I was insane for even considering taking E with me to Disney on Ice. He was an angel! He sat mostly with my mom and got really into it. He loved watching Mickey and would wave bye bye every time he left the rink. I think his favorite part was the end when they did the Christmas celebration. He loved Goofy as Santa and laughed at the Toy Story toys dancing around (especially Hamm).